According to a 2013 survey conducted by the National Association of Colleges and Employers (NACE), about 63% of the graduating class of 2013 took part in an internship, co-op, or both. That shows how great of a number of people applying for internship is. Which means – higher competition. Writing a resume objective is a challenging part in order to make an effective resume. Most of the objective statement includes one to three line of text; it summarizes some things related to what you are applying for and about your main qualifications. Many objectives are descriptive phrases. In order to make a great and wonderful internship resume objective, it is needed that you summarize and emphasize the main qualifications. You need to inform your readers about what you’re seeking and what your career goals are. Make sure you able to establish a professional identity so that you will stand out. In improving your chance to become successful, it is a good idea to include objective statement to particular positions and organizations. This means that you should describe the company. You can also include the name of the organization and strive in order to match qualifications of the company. If you are not sure about your readers, it is better to make a research to provide a competitive objective statement. In the process of drafting or revising objective statement, you need to find some questions such as what are your main qualifications in terms of skills, strengths and areas of expertise. You should able to deliver your professional goals and type of company you are interested. For internship resume objective, you need to think what qualifications you have are perfect for them and what goals of the company you are interested. For objective for internship resume, you need to avoid being too much specific. You also need to avoid being vague and general in describing the position you desired. The most common approaches you should know is that you need to know your main qualifications, specific position, professional goal and others. 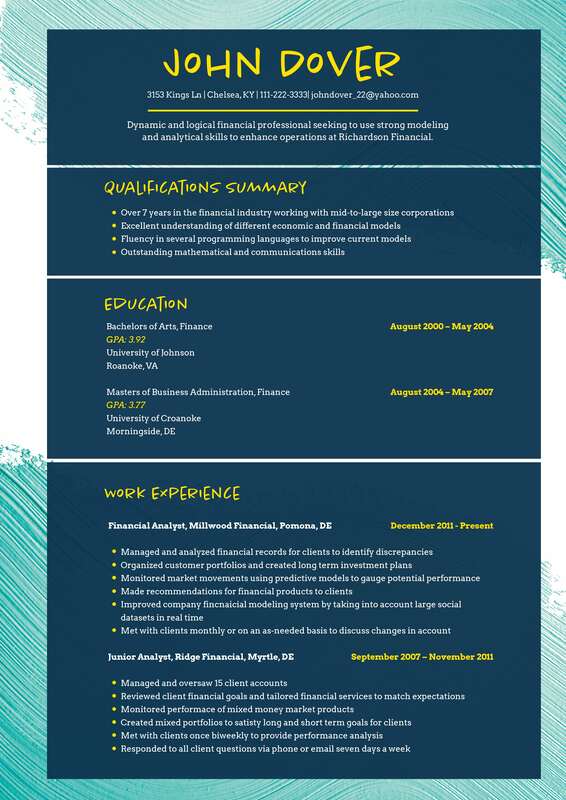 For instance, a position as support specialist allows me in using my skills in field of computer science as well as management information system. You might also want to say that “to help families and children in troubled situations through utilizing child protection service background”. There are other things to know in making a resume objective for internship and that you might want to integrate phrases and key words that used in the advertisements. You can play with word choices that are for to your strengths and meet reader’s expectations. You can substitute the words, replace some words and change the words. You need to blend 2 or more words in order to make your own objective. The objective section for any resume including objective for medical assistant resume or for internship resume will be the first section for your resume and it must need to be limit to 2 or three line of text. Keep in mind that objective allows you to narrow your opportunities that are why you need to do your best in making your objective statement. As much as possible, think and make a plan of what you need to do so that you can able to convince the reader that you are the person they are looking for. Previous PostHow to Spice Up Your Professional Resume with the Best Resume TitleNext PostWhat is Resume Title for Fresher?